Wandered our way to the Grand Canal, stopping in shops (including a great shop of completely handcrafted Venetian masks) and ducking into churches. Continued strolling, the same way as before, until we ended up at the Peggy Guggenheim Collection — Pollocks, Calders, Picassos, Kandinskys, and more modern/postmodern paintings along those lines. Got to St. Mark’s Square around 4:30pm, where we promptly got into St. Mark’s Basilica (no line!). 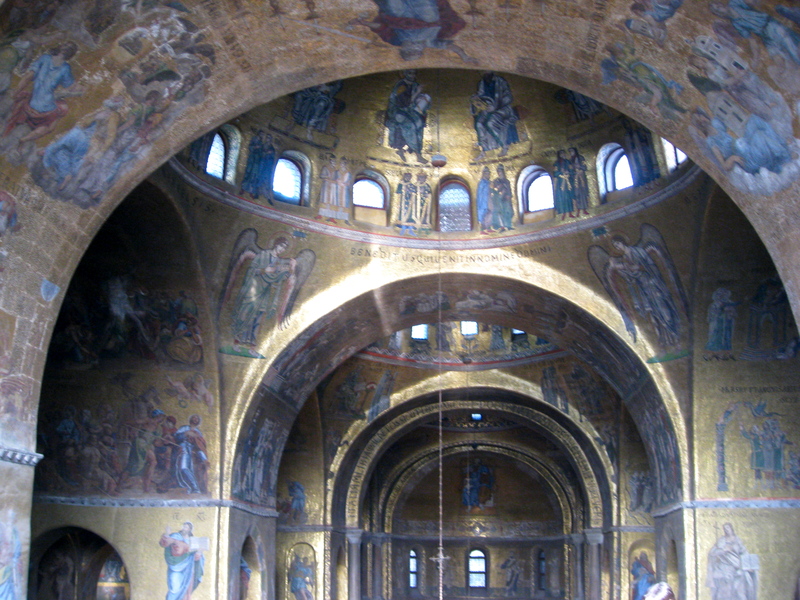 Spent a while gazing at the golden mosaics and enjoying the view from the balcony. Wandering recommenced, this time toward the Rialto with a few stops to shop and buy olive oil, balsamic vinegar, and parmesan cheese to take back to Ukraine (edible souvenirs: the best kind). 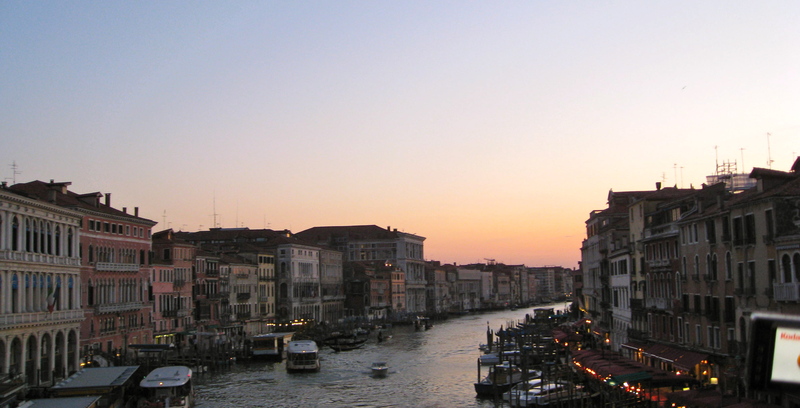 Hit the Rialto Bridge just before sunset, and tried to squeeze between tourists for a place at the railing. Capped off the evening with a shared bottle of prosecco at a cute wine bar near in our favorite plaza, Campo Santa Margharita. After breakfast we shopped our way through the Cannaregio neighborhood on our way to catch a vaporetto (water bus) to the island of Murano, famous for its glass-blowing. 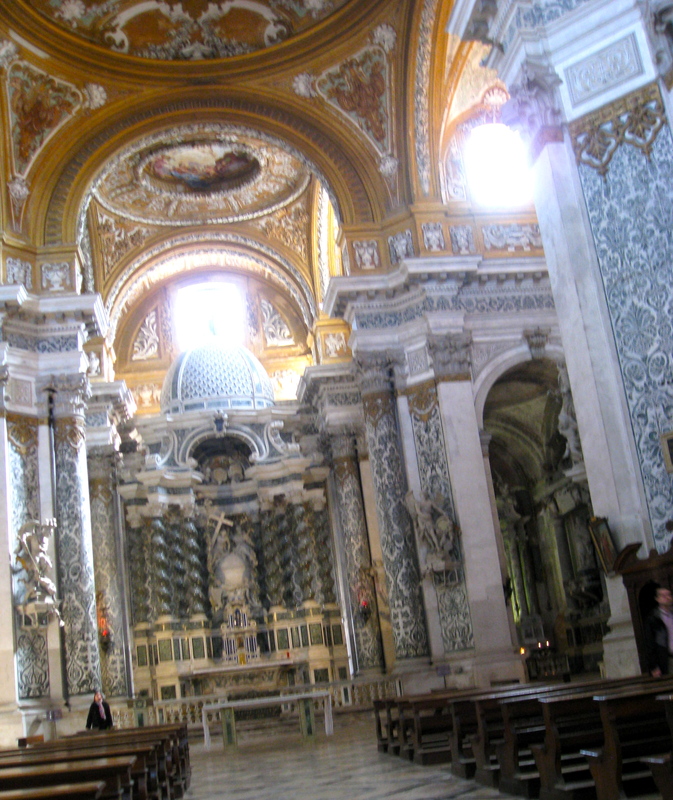 My favorite church in Venice is in this neighborhood, the Chiesa di Santa Maria Assunta, a Jesuit church with incredible blue and yellow marblework inside. 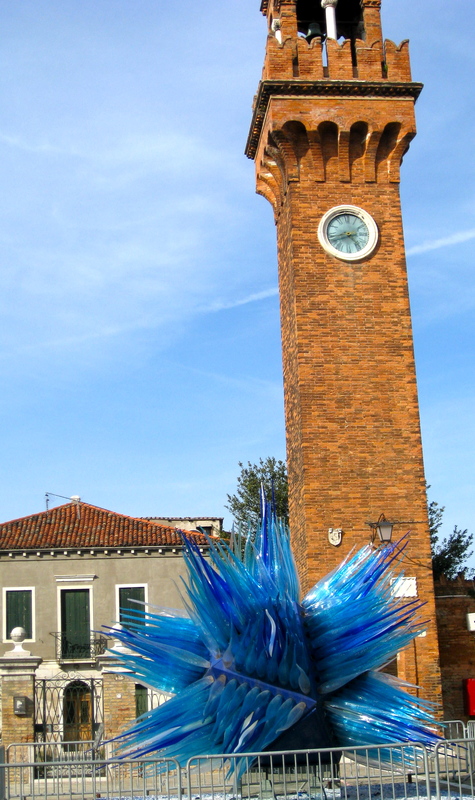 On Murano, we watched a glass blowing demo and then wandered through the quiet streets of this quaint island toward the center, where we stopped in many shops and galleries to ogle the beautiful glassworks. Water bus back to the main island, to jump on another vaporetto (no. 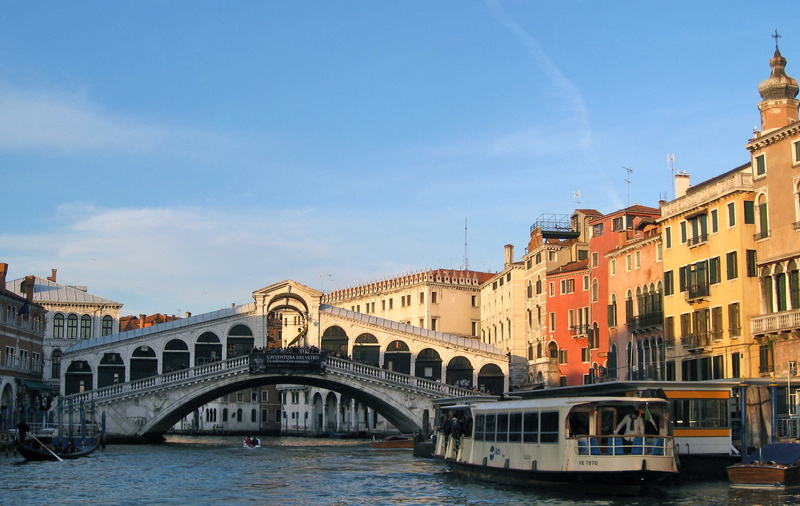 1) that took us down the Grand Canal in the late afternoon sun — went under the Rialto Bridge and saw many beautiful buildings and boats. Wound our way through the Rialto neighborhood — stopping at the grocery store to buy balsamic vinegar, olive oil, and parmesan cheese to bring back to Ukraine — back toward our room, where we collapsed and gave each other back massages after a long day of sightseeing and walking. Wake-up time: 5:45am. 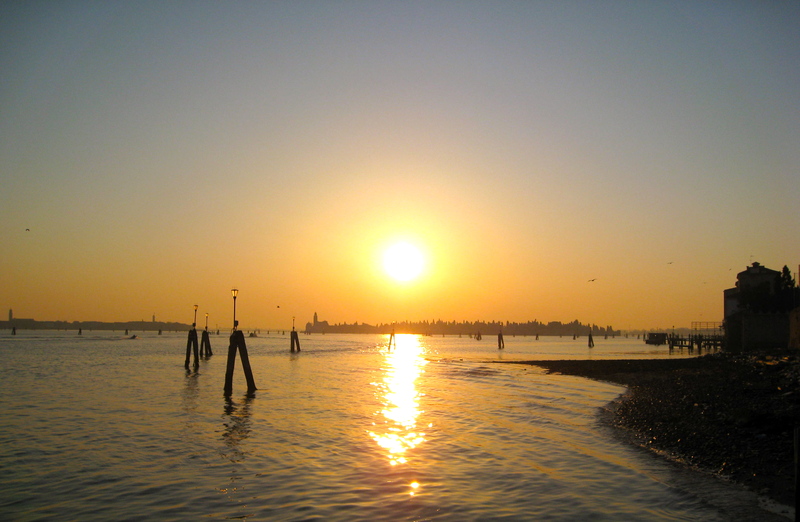 No, not to catch a flight, but to walk through Cannaregio to catch the sunrise! We missed the true sunrise but got to the edge of the island just as the sun was over the horizon. After an hour of walking, pre-coffee, we stopped at a great little bakery for fuel before continuing on to see the Rialto bridge one last time. 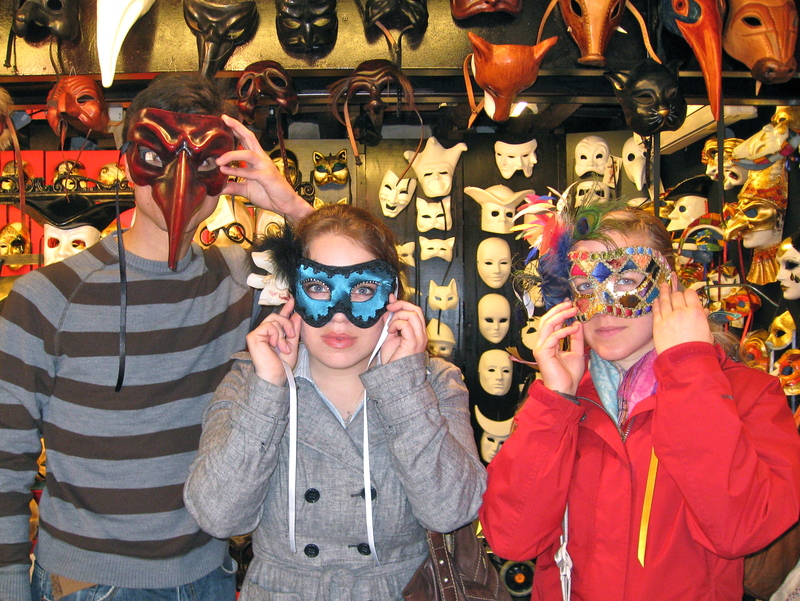 Just before leaving, we went back to the mask store so Kate could buy the mask she’d been thinking about since two days before. 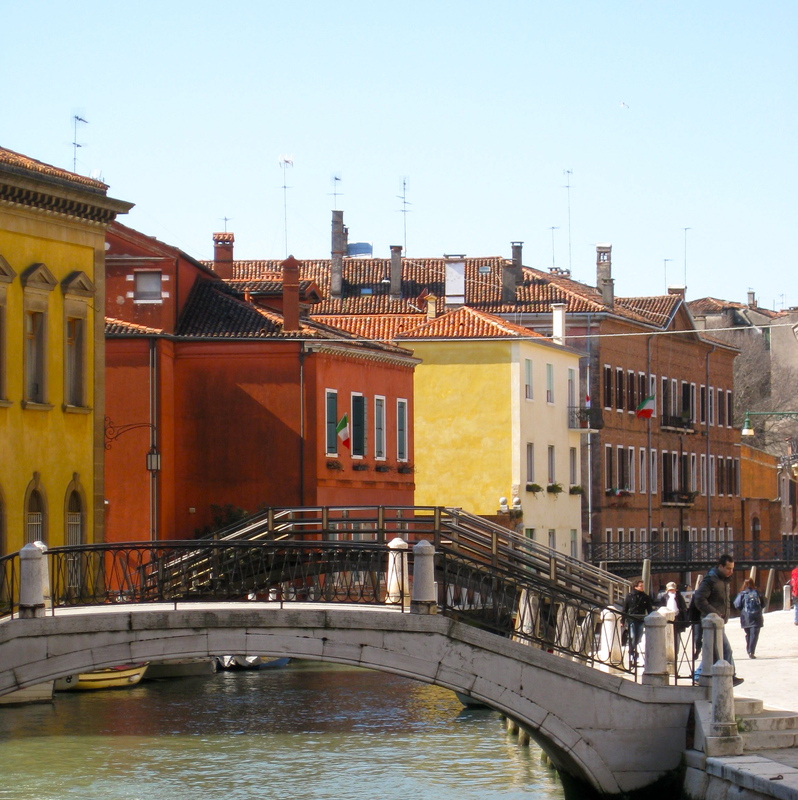 Essentially, we walked between 2.5 and 3 hours a day, covering almost the entire main island of Venice during our short stay. I loved the feel of the city: quietly busy, thanks to no cars (only boats and walkers!). Going at the end of March was perfect, because post-Carnevale there weren’t too many tourists. Another perk of the trip timing is that we got into St. Mark’s Basilica without waiting in a line. 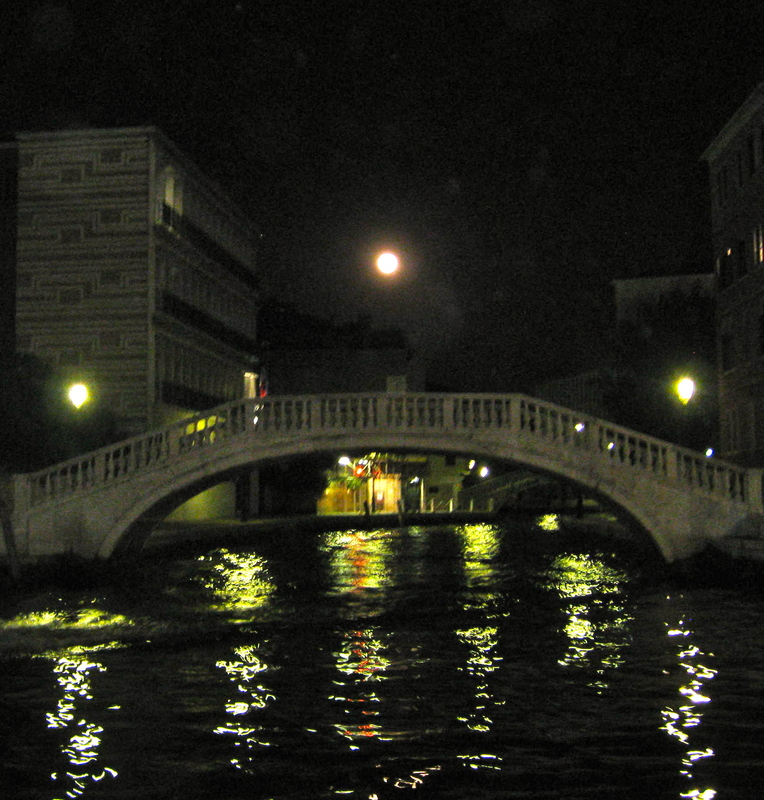 After seeing Venice, I’d be content never to see Rome, though I would like to go to Florence for the art and Tuscany for the biking/hiking and food. This entry was posted in climate, culture, exercise, food, language, pictures, travel on 28.03.2011 by taplatt.